…durchaus ansehnliche Plattensammlung (duerften so ca. 4000 gewesen sein) aber auf die Idee, mir auch nur eine Einzige von an die Wand zu haengen…die werden doch janz schmutzelich. Display what is now playing on a tabletop or wall. Switch between Wall Mount and Tabletop display in seconds. 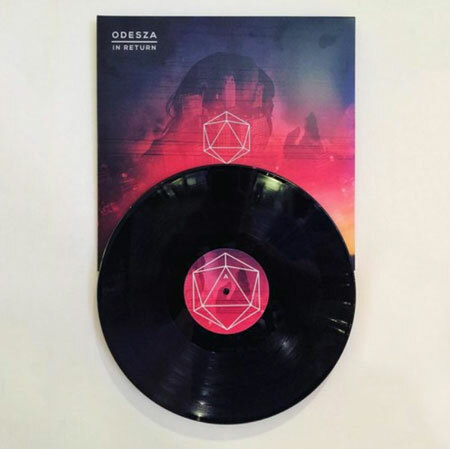 Pair a record with its album cover on the wall like a piece of art. No frames. 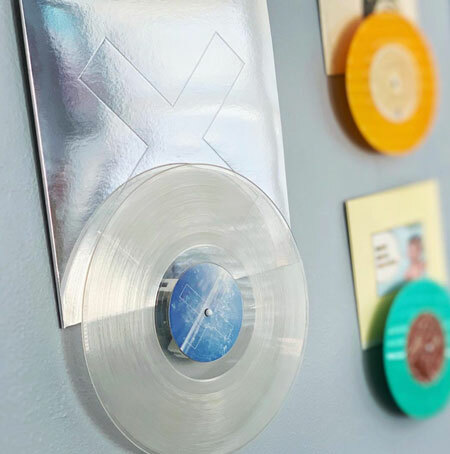 Albums appear to be floating on the wall. 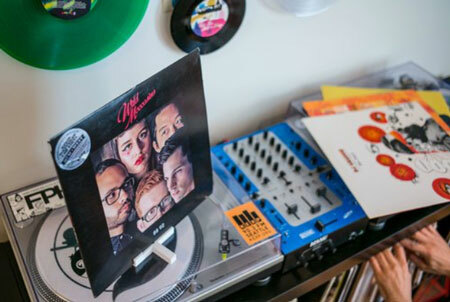 Quickly change records and continue playing your favorite music. Each package contains our three-piece-system and the optional wall mounting hardware. This entry was posted on Thursday, January 17th, 2019 at 17:08	and is filed under AberBitteWas?, Auf die Ohren, yay!, Fundstuecke, Was die Welt nicht braucht. You can follow any responses to this entry through the RSS 2.0 feed. You can leave a response, or trackback from your own site. Paßt zu einem Hard Rock Cafe.